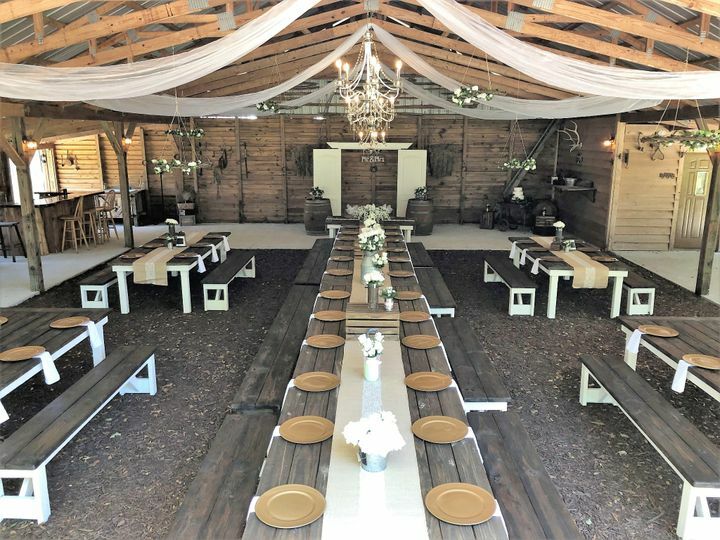 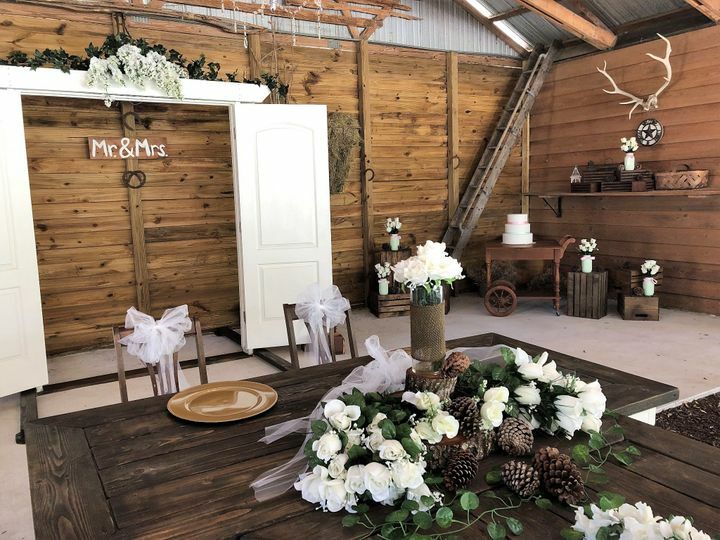 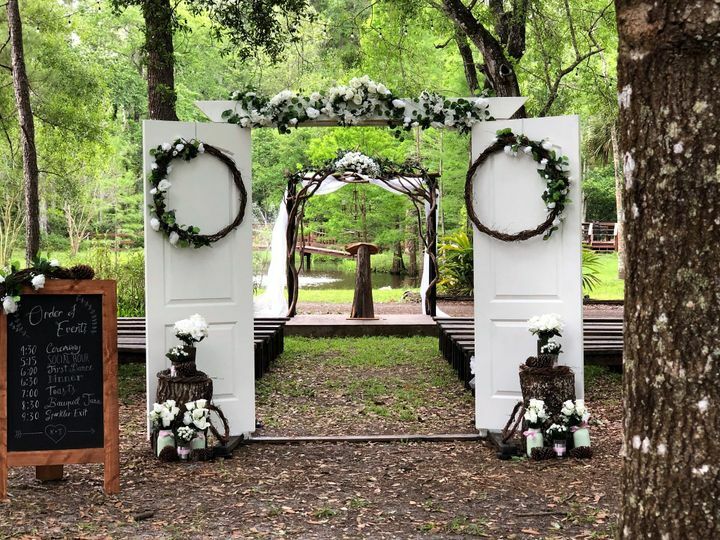 Cypress Creek Event Venue, LLC is an all-inclusive rustic-chic venue located in Land O Lakes, Florida. 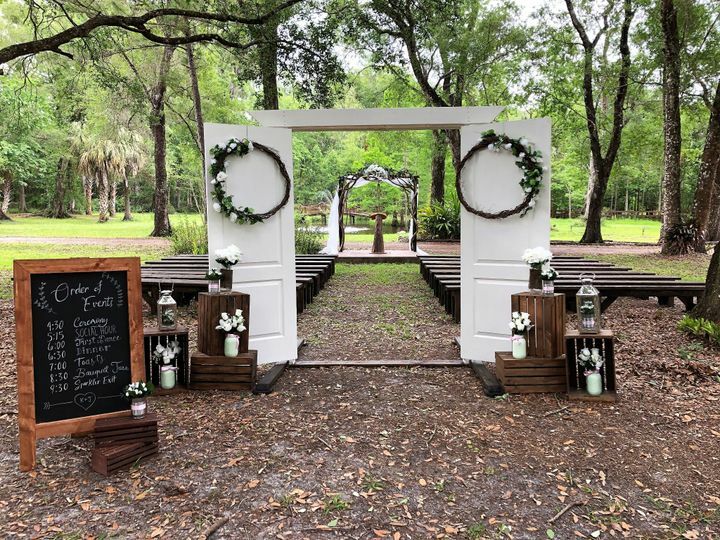 Just north of Tampa Bay, the venue is located in the middle of a woodland forest and right along the banks of the meandering Cypress Creek. 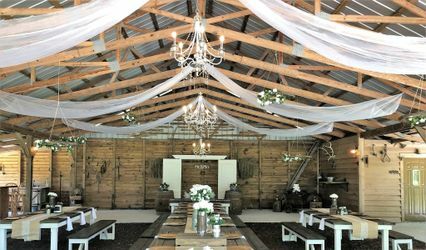 This space is perfect for anyone who has always dreamed of getting married on a charming piece of farmland. 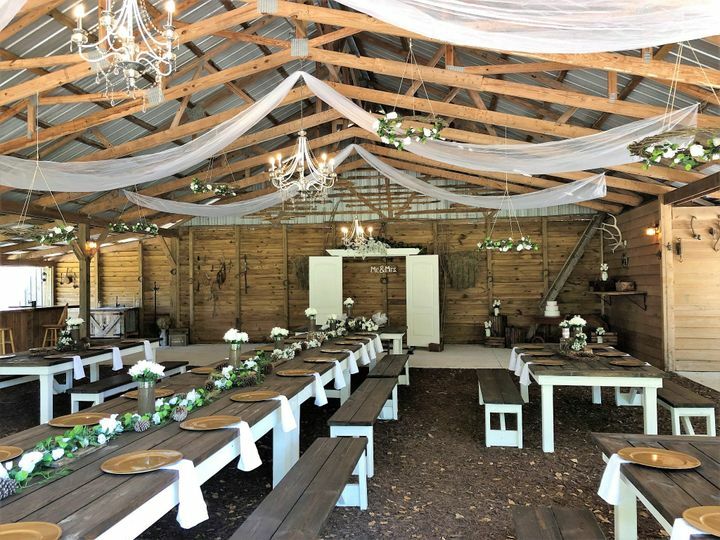 The Cypress Creek Event Venue comes complete with a large barn and an adjacent pergola-covered dance floor. 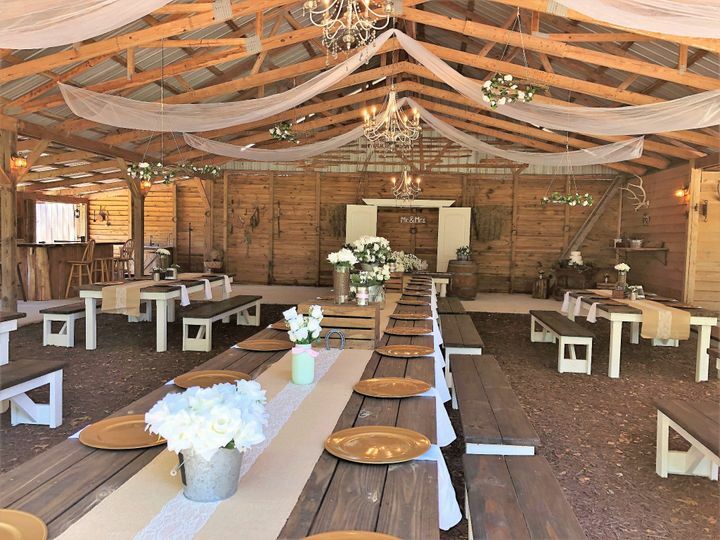 Scenic, remote, and breathtakingly beautiful, the property can hold up to 150 of your friends and family and has plenty of space to celebrate the kind of barn wedding you’ve always imagined..
We just celebrated our 4th wedding anniversary and every year we can’t believe how lucky we were to find such a gorgeous venue for the price we paid. 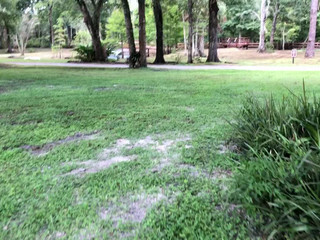 They instantly treated us like family and made sure we were happy with everything. 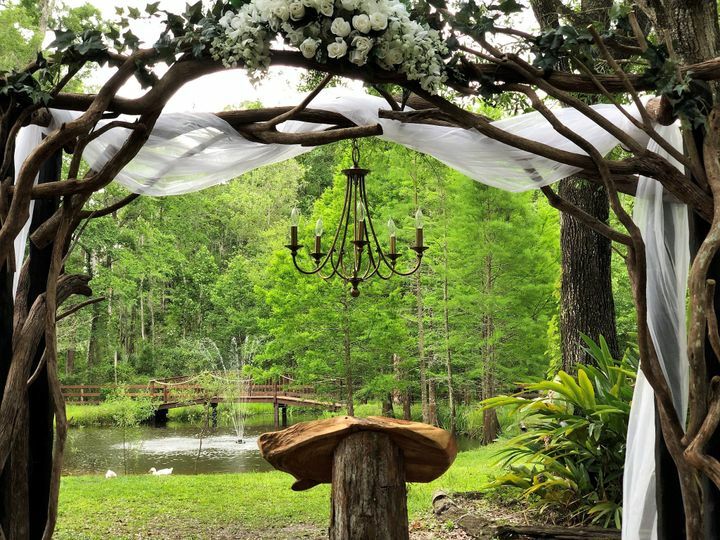 Just go see the property and you will know right away that this is the place to get married in. 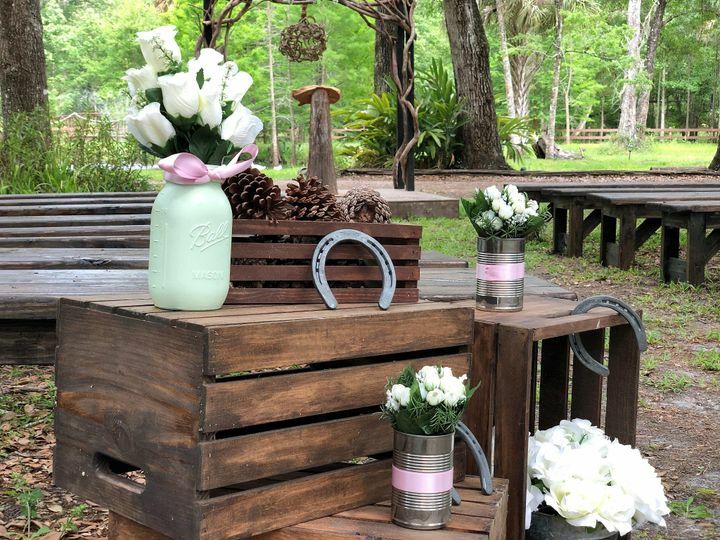 Get a free candy bar added to your all-inclusive package when you book a 2019 wedding through weddingwire! 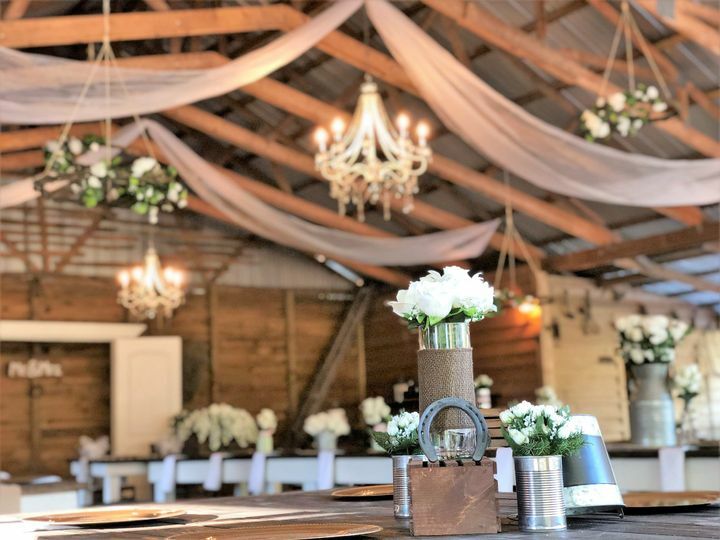 Just mention this deal when you book your date!